Born: 16th October 1821, Drehsa, Saxony. Johann and Anna Zwahr nee Hennersdorf of Drehsa Saxony. (1) Magdalena Schmal, in Saxony 1847. (2) Anna Kaiser in Melbourne Australia 1863. Saxony to 1851 and South Australia 1851 to 1912. Died: Ebenezer, 15th July 1912 aged 90 years. Johann was born in Drehsa, Saxony on 16th October 1821. He was the fifth child of Johann and Anna Zwahr (nee Hennersdorf), but the first three children had already died by the time Johann arrived. The fourth child, Andreas, was Johann’s elder brother by three years and Andreas would stay in Saxony all of his life. When Johann was two and a half his brother Peter arrived. Peter would go to Australia in 1854. When he was five a sister Maria joined the family, and she was the only sister of Johann who would grow up to adulthood. A brother Michael arrived two years later, and Michael would be the first of the family to go to Australia. When he was ten a sister Magdalena was born but died before Johann was a teenager. The following year the family was saddened again by the birth of a stillborn son and brother. Johann was fourteen when his youngest brother Karl was born in 1836. We have no record of the school Johann attended. HIs younger brothers and sister Magdalena would attend the school at Wurschen, after it had been upgraded to a Government school. We have the school lists and his younger brothers and sister are on the list, but not Johann’s name. It is possible he may have attended a different school nearby. When Johann was eighteen years old his father died, in 1840. His older brother Andreas became the male head of the Zwahr family. We have no personal records from Saxony of Johann Zwahr. We have personal records of his younger brother Peter, including his baptism and confirmation certificates and teenage employment records, plus the detailed passport to allow him to go to Australia from Saxony. It is possible Johann had brought similar documents to Australia. 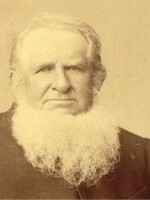 His son Johannes was interested in the family history and had written to their Lutheran Church in Saxony in 1922 and received a letter with details of his father Johann Zwar’s family and ancestry. His son Arthur shared with me his deep disappointment that after his father Johannes died during the Second World War in 1940 the family destroyed all the old family photos and papers. It could have been dangerous to have German records and documents in the Barossa Valley during the War. Arthur was working in Queensland at the time and had not attended his father’s funeral.